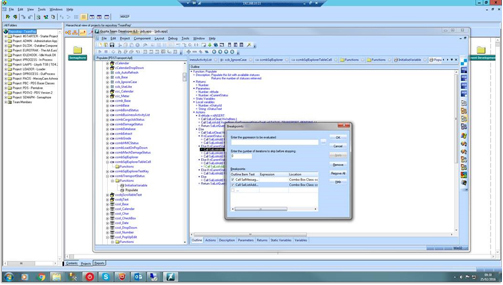 Gupta Modernisation - Bankside Systems Ltd.
Gupta Team Developer is an ever-evolving tool for creating applications in SQL Windows. It currently ships as v7 but we also fully support v6.3. Many organisations are using systems developed several versions ago. Whilst these may continue to work, future enhancements can become difficult, whilst users are denied access to the latest functionality available in current versions of Team Developer. To maintain investment in an existing system, especially if it is to be further developed, upgrading to the latest versions of Team Developer is a logical, sensible and sometimes necessary step. A number of clients have come to us with systems developed in versions of SQL Windows as early as v1.5. We have taken those systems and successfully upgraded them to v6.x, breathing new life and longevity into the systems and helping their owners protect their investment. Our .net expertise means that we can also build .net solutions that integrate with your existing Gupta system, allowing you to capitalise on new technologies without throwing away your investment. This hybrid approach enables a phased path to redevelopment.